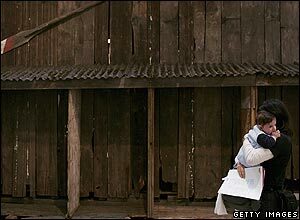 Four artists have been shortlisted for the Turner Prize 2005. 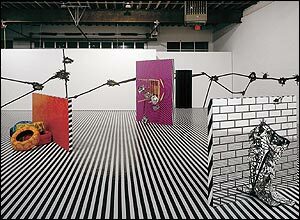 Mental Oyster sees artist Jim Lambie take transitory objects from modern life and transform it into a sculptural installation. The winner will be announced on 5 December. 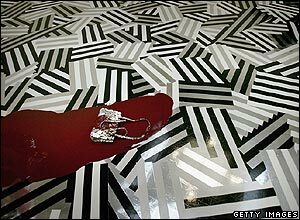 Lambie uses items found in second-hand shops like record players, speakers, clothing and mirrors to form sculptures in his installations. 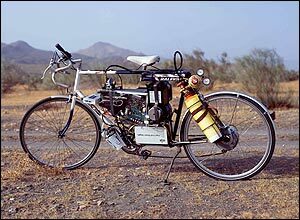 For Tabernas Desert Run 2004, Simon Starling crossed the Spanish desert on his electric bicycle. He used the waste water to paint an accompanying cactus painting. Starling dismantled a shed and turned it into a boat, which was paddled down the Rhine river and then rebuilt as a shed for his artwork With Shedboatshed. 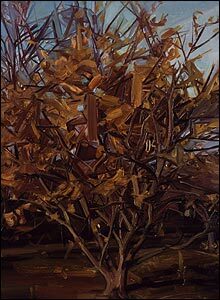 Gillian Carnegie works with traditional painting categories such as still life to create an unsettling effect. Red is part of her ongoing series of experimental "bum paintings". In works like Section, Carnegie uses thickly applied paint and unusual markings to subvert conventional ideas and expectations about painting. 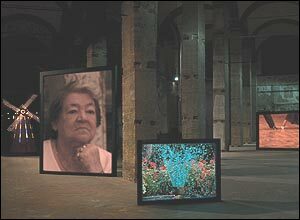 If I Had You by Darren Almond is a four-screen video installation which brings together poignant personal memories of his widowed grandmother. 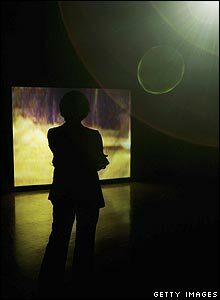 In his installations, Almond explores themes of love and memory by featuring oversized clocks, sound effects like footsteps and video footage of empty locations.